BRING YOUR FLOOR GRAPHIC TO LIFE ! If you're looking to make more of an impact with your Floor Advertising then a 3D Illusion design is perfect for you. 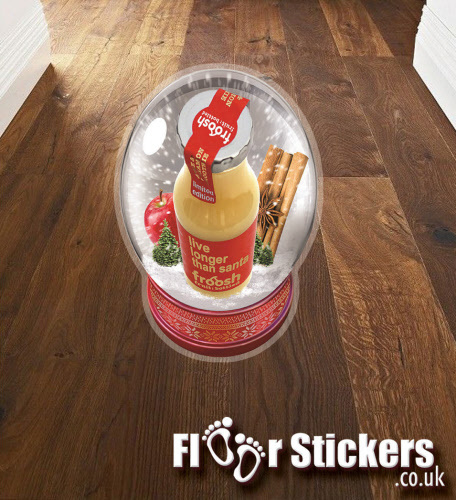 Floor Graphics can be so much more than just simple flat advertisements, such as this Christmas 3D Illusion Snow Globe promoting a smoothie drink. 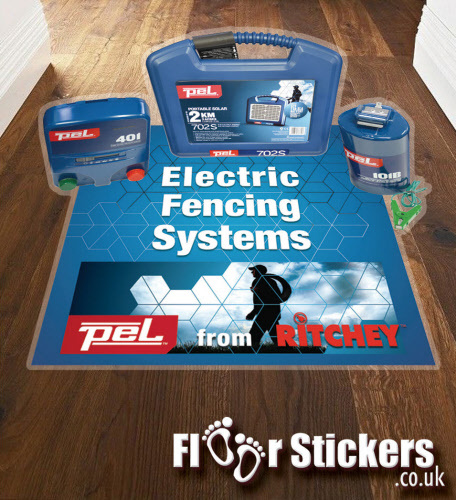 When done correctly the 3D Floor sticker can make your product stand out in the ever growing crowd of flat floor point of sale promotions. Our Sales Team and Estimators are on hand to talk through your 3D Illusion Floor Graphic / Sticker needs and can help you achieve great results for your instore promotions. Walking you through the process from initial enquiry through to supplying the raw photo elements you want to be made into your finished design. Why not contact us for a no obligation Floor Graphic Quotation and see how we can help with 3D Design needs. Contact us via email sales@customark.co.uk or call 01384 264700.